Royal Bank of Scotland has today announced that it is to sell Coutts International, its internationally managed private banking and wealth management business, to Swiss bank Union Bancaire Privée (UBP). The Financial Times has reported that UBP will pay between $600m and $800m for the business. The sale comprises client relationships outside the British Isles and associated staff, the 80 per cent state-owned lender said. 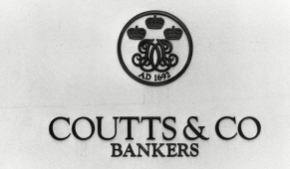 A statement from the Edinburgh-based bank also stressed that it will continue to service UK-based private banking and wealth management client needs through its Coutts and Adam & Company brands, which were not included in the sale. RBS said the sale includes relationships managed from Switzerland, Monaco, UAE, Qatar, Singapore and Hong Kong. As at 31 December 2014 assets under management were approximately CHF32bn and total risk weighted assets were CHF2bn. The price paid will be determined in part by assets under management on closing. RBS said that it anticipates receiving a premium with the resulting capital benefit to RBS expected to be modest after writing off goodwill related to the business and taking into account anticipated exit and restructuring costs. Alison Rose, CEO, Commercial & Private Banking at RBS (pictured) said: “Last year we set out a clear strategy to create a truly UK-focused bank. This announcement is another important step in that process. Following an extensive review, it was clear that the bank we are building would not be the most appropriate owner of the business being sold.